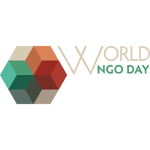 World NGO Day is an annual international observance held on February 27. It was established by Marcis Skadmanis, a Latvian-born UK social entrepreneur who is passionate about creating organizations that make a positive contribution towards sustainable innovation and technology. Non-governmental organizations, commonly referred to as NGOs, are usually nonprofit and sometimes international organizations independent of governments and international governmental organizations. They are active in humanitarian, human rights, social, public policy, environmental, healthcare, educational and other areas. The term “non-governmental organization” was coined following the establishment of the UNO in 1945, although the history of international NGOs dates back to at least the late 18th century. The definition of “international non-governmental organization” (INGO) was first given in the resolution of the UN Economic and Social Council (ECOSOC) on February 27, 1950. Marcis Skadmanis established NGO Day in 2009 to raise awareness about the importance of NGOs. A year later, it was officially recognized at the IX Baltic Sea NGO Forum of the Council of the Baltic Sea States. World NGO Day became truly international in 2014, when the Ministry for Foreign Affairs of Finland hosted an official celebration with the support from the UNO, European leaders and international organizations.